Paintings created to take you somewhere beautiful. Born and raised in the Rocky Mountains with a mermaid soul, Alyssa opened Alyssa Marie Gallery in an attempt to visually communicate her true love for the ocean and all things nautical intertwined with her love for the mountains and wildlife. We invite you to stop by the gallery or browse this site to find paintings whose existence strives for more than just life on a wall. 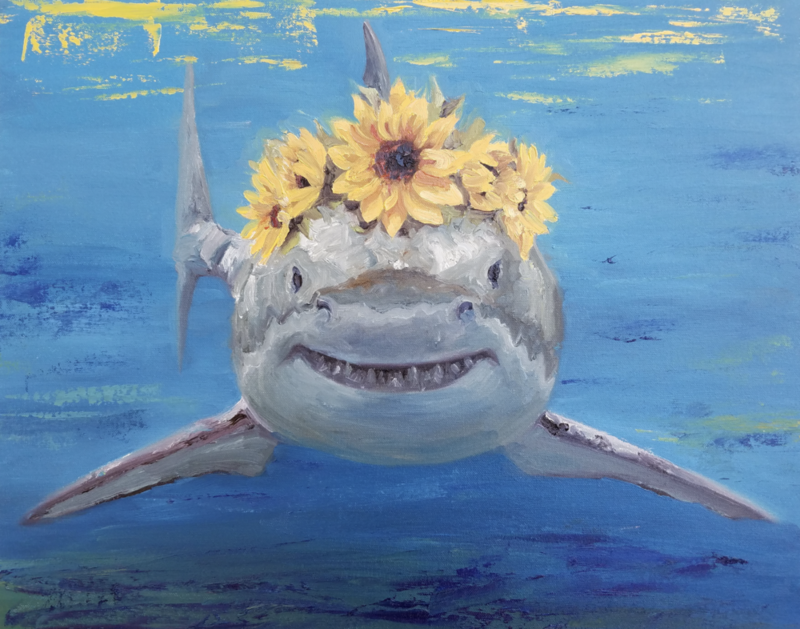 Many Alyssa Marie paintings are created with an intent to raise awareness for wildlife and ocean conservation. What makes a painting by Alyssa Marie different? Whether you're commissioning a painting of your pet, family member or favorite landscape, I will combine vibrant complimentary colors with hyper photo-realism so you will have the most accurate representation possible of what you love most. The perfect blend of color has the power to take your breath away and transform a room. As long as I can remember I have been enamored by the power of color and waste no pigment when it comes to creating radiant paintings. A 75 year Harvard study showed that the happiest people are those who have close relationships. I want you to feel the most abundant sense of happiness when you look at your print or commissioned piece. I take time with every detail from individual hairs to color placement to create something beautiful that will evoke emotion and instill happiness. Experience a style never seen before where photo-realism meets gestural abstract expressionism. I have married aggressive, textured oil paint strokes with soft, blended areas to represent a rooted feeling of power and strength.